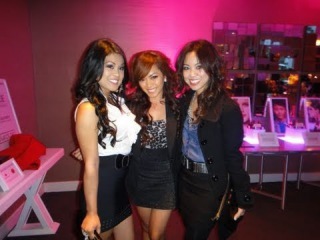 DONT MISS AN UPLOAD subscribe here: http://tinyurl.com/jzovjry Hey My loves ! 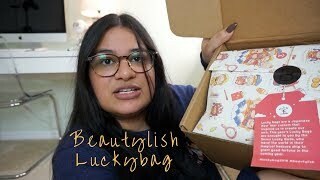 Its that time of the year again and were doing my beauty lish lucky bag unboxing. I am making this a tradition every year because its so fun! 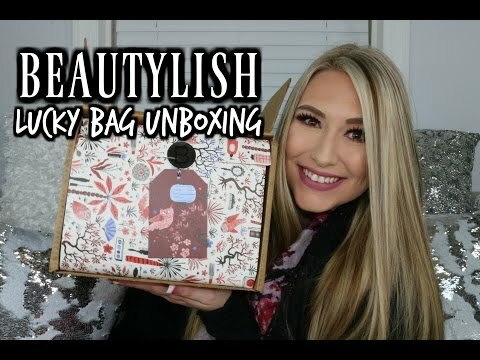 Beautylish does a lucky bag that you pay $75 for and you are guaranteed $150 and this year they did a XL bag that was $150 for $300 in product - and y'all know I HAD to go for the big one!!! 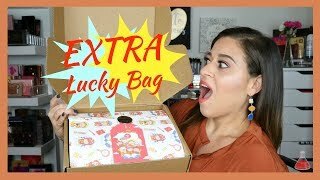 Today we are going to be unboxing my lucky bag. I am so happy with everything I got- this bag is a gamble but the odds were in my favor this year and I am so grateful! What did you get in yours? 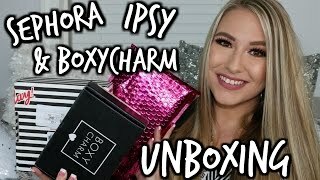 NATASHA DENONNA GREEN BROWN PALETTE: http://bit.ly/2j9yDp0 ORIBE GOLD LUST DRY SHAMPOO: http://bit.ly/2jsREyT WAYNE GOSS 08: http://bit.ly/2j5UfCo BIODERMA: http://bit.ly/2j637YN CHARLOTTE TILBURY X NORMAN PARKINSON HIGHLIGHTER: SOLD OUT INGLOT GEL LINER 77: http://bit.ly/2jxv8oU CLEAN APOTHECARY BRUSH SHAMPOO: http://bit.ly/2j9yO3E IT COSMETICS BYE BYE PORES: http://bit.ly/2jxlnqO ******SNAPCHAT- DANIELLERAE.XO Mailing Address- Po Box 26352 Winston Salem, NC 27114 Email for Business Inquiries Only:[email protected] ♡DISCOUNT CODES + LINKS TO MY FAVES!♡ ________________________________________­­­­­­­­­­­­­­________________ Ebates: Get Cash Back for Shopping at your favorites stores online! 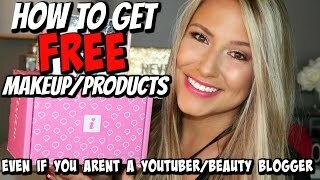 http://tinyurl.com/ntzbw4k Belfiore Cosmetics ( code danielle for 20% off): http://www.belfiorecosmetics.com Loving tan ( code danielleraexo for free tanning mitt): https://www.lovingtan.com Ofra Cosmetics ( code danielleraexo for 30%off) http://www.ofracosmetics.com My Favorite Sigma Brushes: (Use CODE DANIELLERAE to save 10%) F80 : http://tinyurl.com/pash4lw F35: http://tinyurl.com/qfe6a4u E25: http://tinyurl.com/qyk5lvy E40: http://tinyurl.com/pjqz2hu E06: http://tinyurl.com/oyufnwc E15: http://tinyurl.com/q2efhs3 e55: http://tinyurl.com/otsts7 FTC DISCLAIMER: THIS VIDEO IS NOT A SPONSORED VIDEO - AS ALWAYS ALL OPINIONS EXPRESSED ARE MY OWN. SOME LINKS ARE AFFILIATE LINKS. 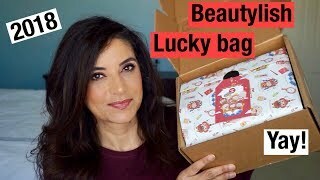 Beautylish Lucky Bag 2018 XL and my daughter's Large YAY!!! !